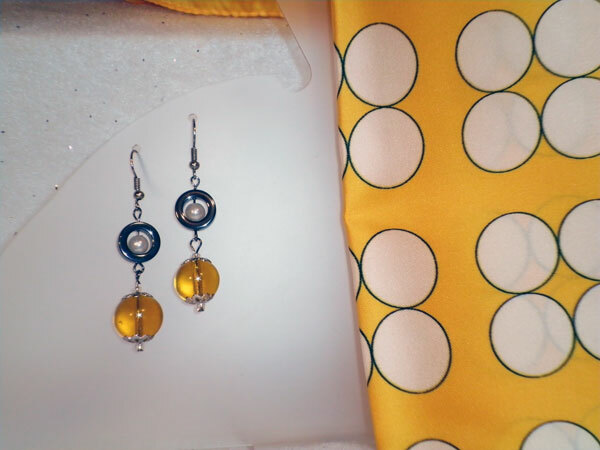 The scarf is golden yellow with white circles outlined in black. I tried to mimic the pattern of the scarf with the earrings which hang just over 1 1/2 inches from the finding loop. The top is an open circle of hematite with a round white pearl bead within it. The lower piece is a large golden glass round with silver accents.